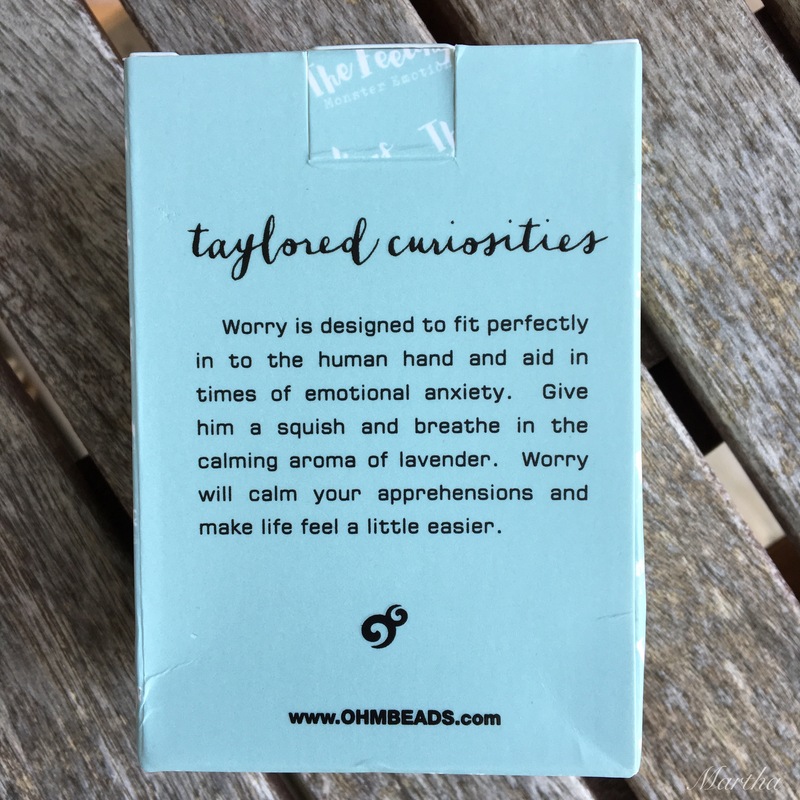 A joint venture between Taylored Curiosities and Ohm Beads, The Feelings are little monster emotions that can help people get through difficult times. I received the set along with a lavender scented Worry plush. It smells lovely! Here is the description on the back of the box. 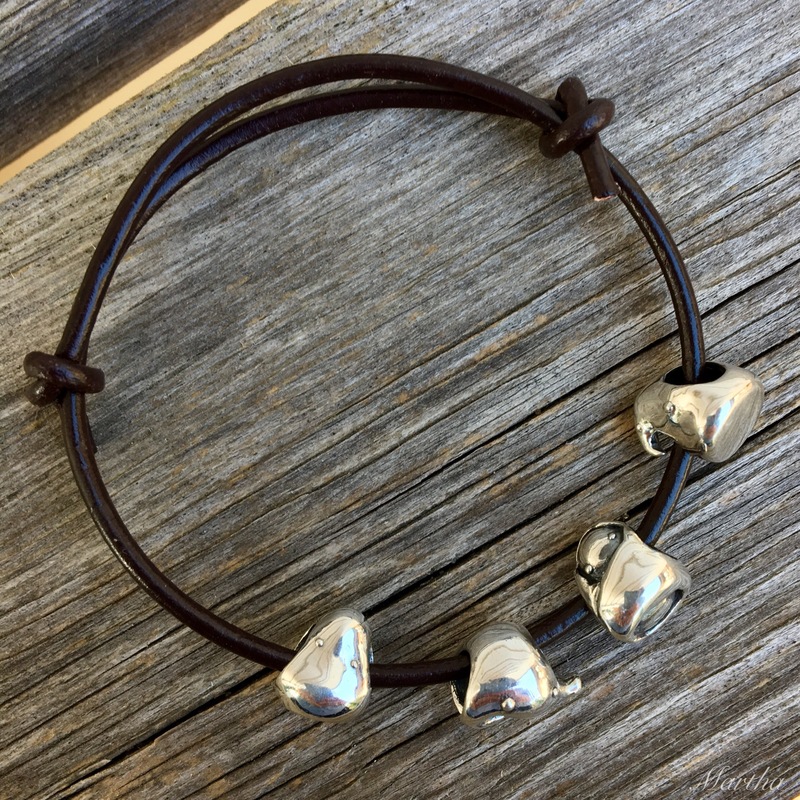 The silver beads ($40 USD each/$50 CAN each or $160 USD/$200 CAN for the Limited Edition set as pictured) came packaged with a cord that can be used as a bracelet if you want. I took a photo with my 13 year old son as he had made a friendship bracelet at camp that happened to match the bracelet I was wearing. If I were to keep them on the cord I would want to secure the ends a bit, but I don’t really picture anyone keeping them like this. What I like about cord bracelets like this is how easy they are to get on and off. I bought a whole bunch of them in Korea when it became too humid to wear silver. Self Conscious- We all have those days where we feel self-conscious and don’t feel like we really want anyone to see us. Well, Self Conscious has decided that today is a ‘stay under the blanket’ kind of day. Tell Self-conscious your concerns and let it deal with it all for you while they hide under your sleeve. It’s time for you to go out and hold your head high. Anxiety- Let Anxiety deal with stress for you. Tell them all your concerns and halve the problem. Anxiety monsters eat anxieties so before you know it you’ll be feeling much more at peace. Fretful-nag- Fretful-nag is a heavy feeling you wake up with that just won’t leave you alone. But look at that little face! Remember, there’s nothing really there to bother you. It’s just your silly unconscious messing with you. Rub Fretful-nag’s back and take a slow breath. In and out. In and out. Feeling better yet? Worry- Some people are natural born worriers… I know I am. But Worry doesn’t think we should spend all our time worrying. So tell your problems to Worry and they’ll do the worrying for you. With The Feelings each being a different shape, I think they really lend themselves to be perfectly suited for leather. 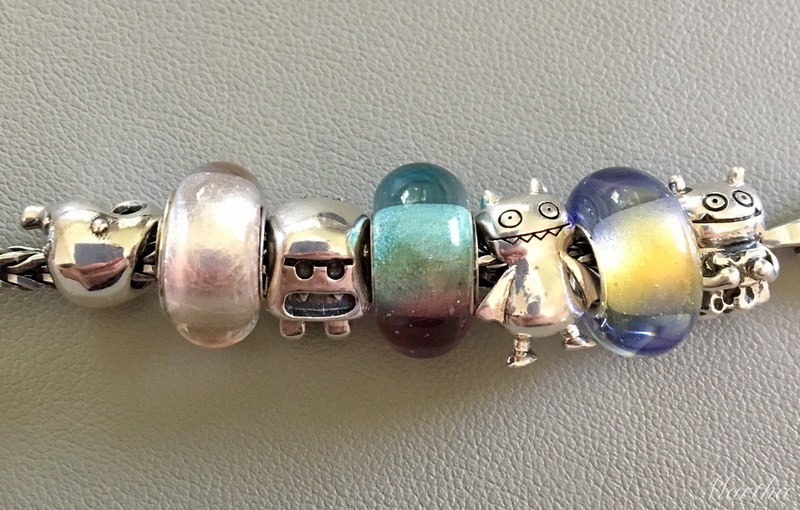 First I tried a Trollbeads Cherry/Sage Green one. They fit nicely there but I love them on a Redbalifrog Leather Strap. They go on nicely and don’t move around. 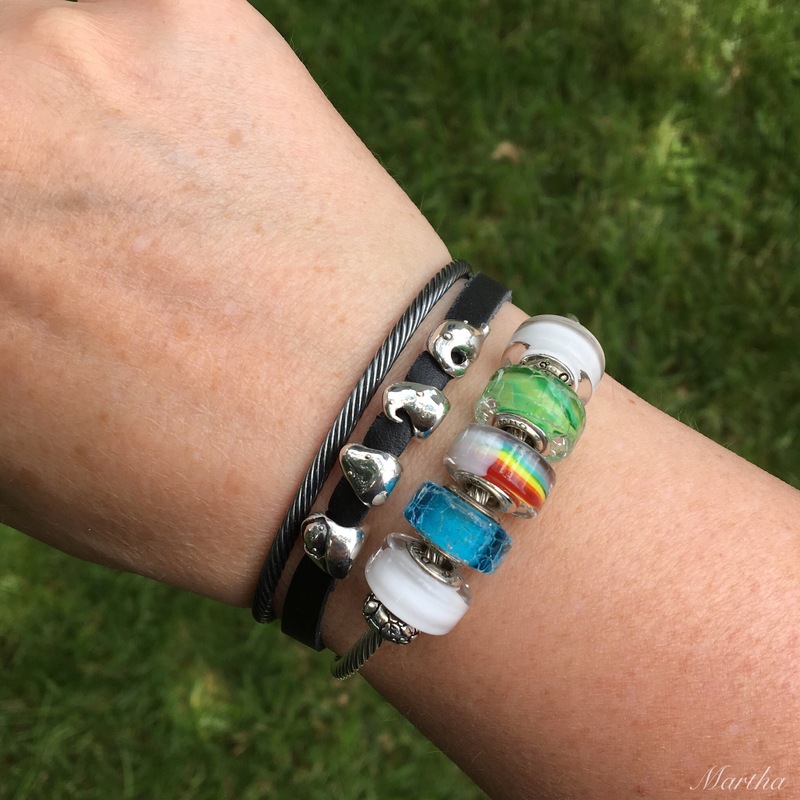 For a combo that made me think of looking forward to a better day, I used the Rainbowed bead. With the little cloud, I thought this would be nice if someone was going through a rough patch, as we think of a rainbow appearing and everything seeming better. There’s that Green Crack again! For my final bracelet, I made up one using small Ohm Beads silvers, the Live bead as a focal point and then added in artisan glass. I did that because the silver beads are small and these glass beads are the smallest ones I have. This bracelet feels amazing, I’ve got to say, as everything on it is so smooth. I’m wearing it today and will keep it together for a while. 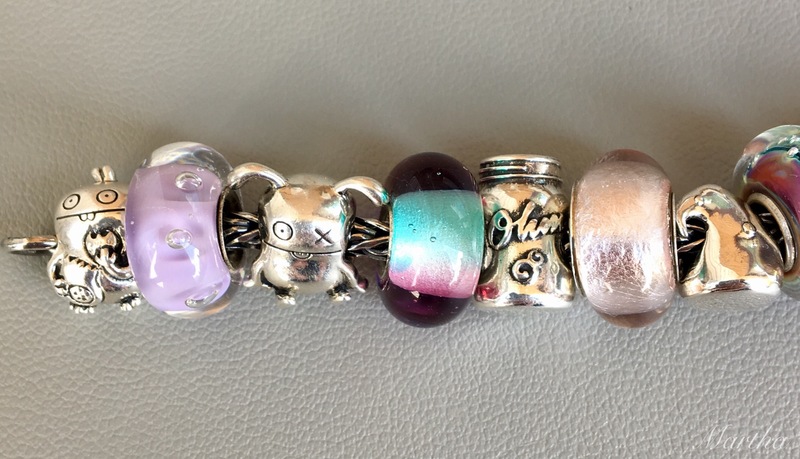 Below left to right are Babo, a Melanie Moertel bead, Ox, a Melanie Moertel bead, Ohm Jar, Chamilia Metallic Collection Blush and Fretful-nag. 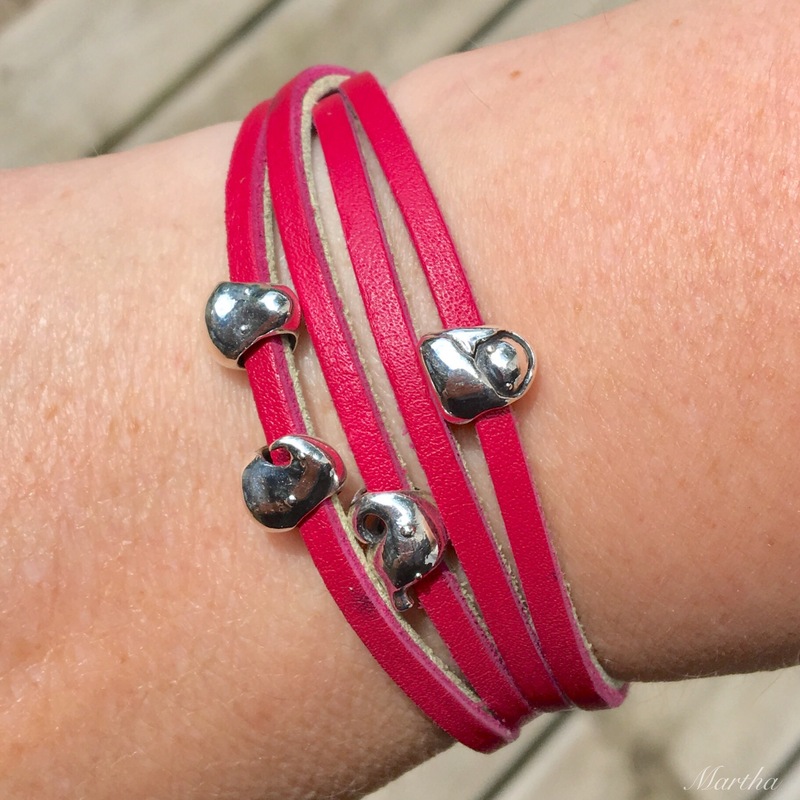 Below left to right are Self Conscious, a Melanie Moertel bead, Live, a Summersday bead and Worry. Below left to right are an upside down Anxiety, Chamilia Metallic Collection Blush, Sock Monster, a Melanie Moertel bead, Ice Bat, another Melanie Moertel bead and Wage. 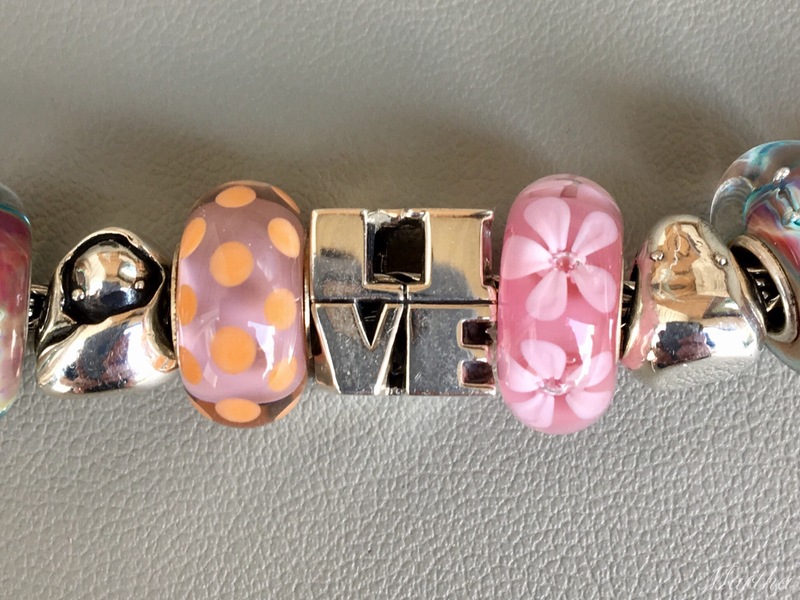 Here’s a last look at the full bracelet. I quite adore these little Feelings. My favourite is Self Conscious even though I am not self conscious. If you were to look up the personality of an oboe player, it’s someone who enjoys the limelight-look at me! Look at me! Totally accurate assessment. I definitely worry, so that one really does speak to me. I’d love to see a ‘Tends to Panic for No Reason’ monster and ‘Overreacting’ one, also. 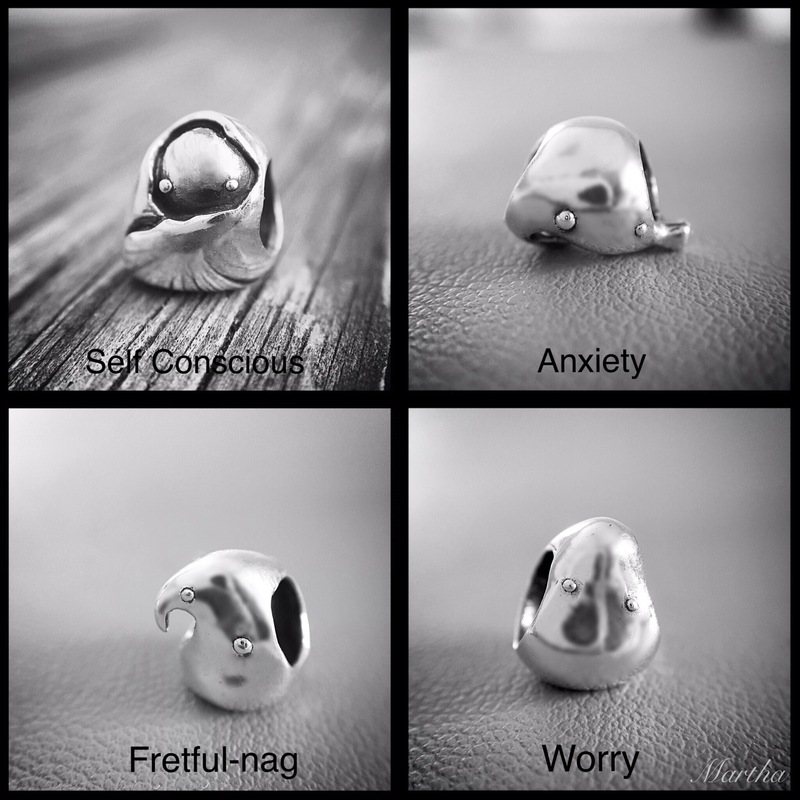 So, which of these little Feelings speaks to you? Or which kind of Feeling would you like to see? I must say that I like these little guys here. They didn’t appeal to me at first, but in your photos they look almost architectural. And, frankly, kinda cute. Yeah, each one is like a little sculpture, which is why I like them on leather, so you can really see the shape. Well Martha, I knew this would end up happening to me… I want them all now! When I see the four together I just think that’s how they should be. And I would wear them by themselves. My Feeling I would like to see would be Impatience…I am terrible! Hi Suzanne! Ooo, I could also use an Impatience one. And perfect for waiting for beadmail! Oh, when I have Beadmail coming forget it! I start getting impatient within a couple of days and if it’s coming from another country… you don’t even want to know! Love how they fit in with the other Ohm silver characters. I think Self-Conscious is the cutest of the four. I think it’s the cutest, also. I love how it’s peeking out from the blanket. I want them all, of course! I saw this kit on the Ohm site the other day, and immediately loved it. It is perfect timing for you to showcase these in a post. I have a birthday coming up, and I keep sending my husband hints – but then I have to retract them and say, no wait I think I want this instead.. Pretty sure there will be another retraction coming, with the Feelings kit going straight to the top now! Love seeing these! 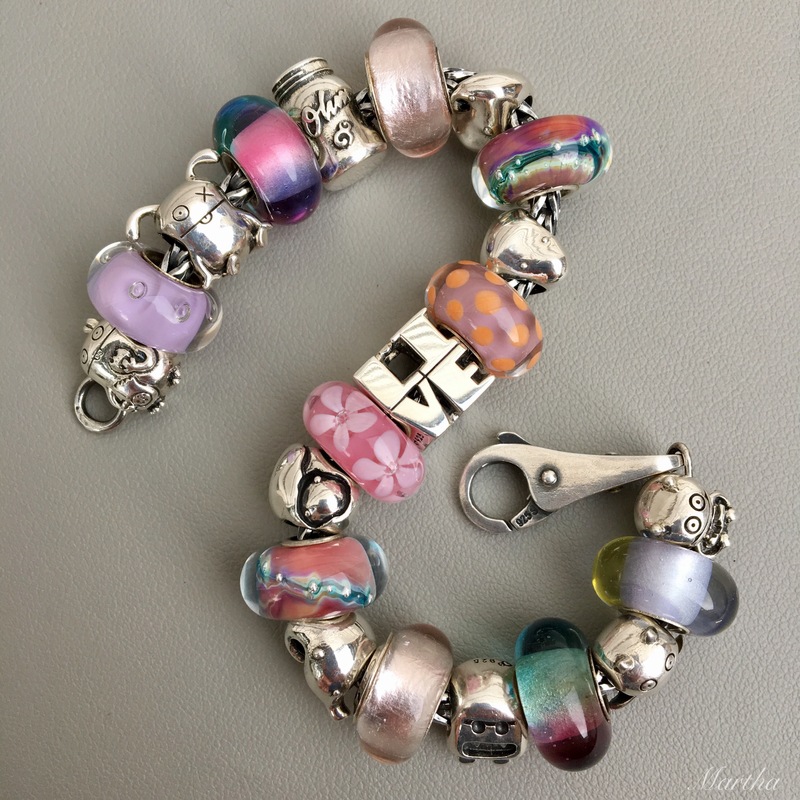 ❤ Those pastel beads really seem to capture the fun and sweet nature of them. Hi Tracy! Oh, an Overwhelmed would suit me also sometimes. It seems like Worry and Self Conscious are both pretty popular. They really are such sweet beads, as you say. 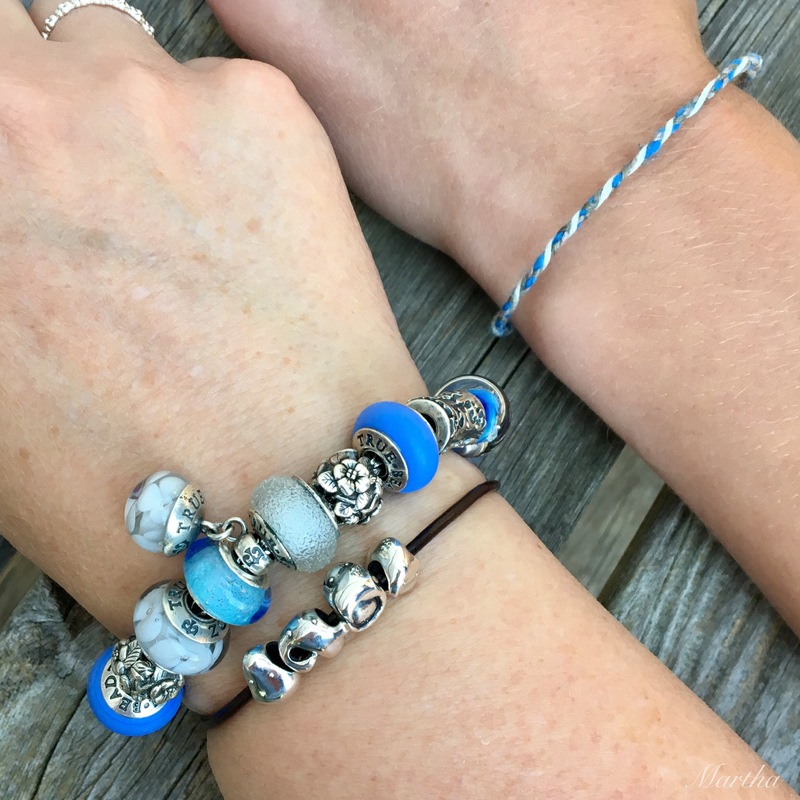 I love the idea behind these beads also the way you have styled them. 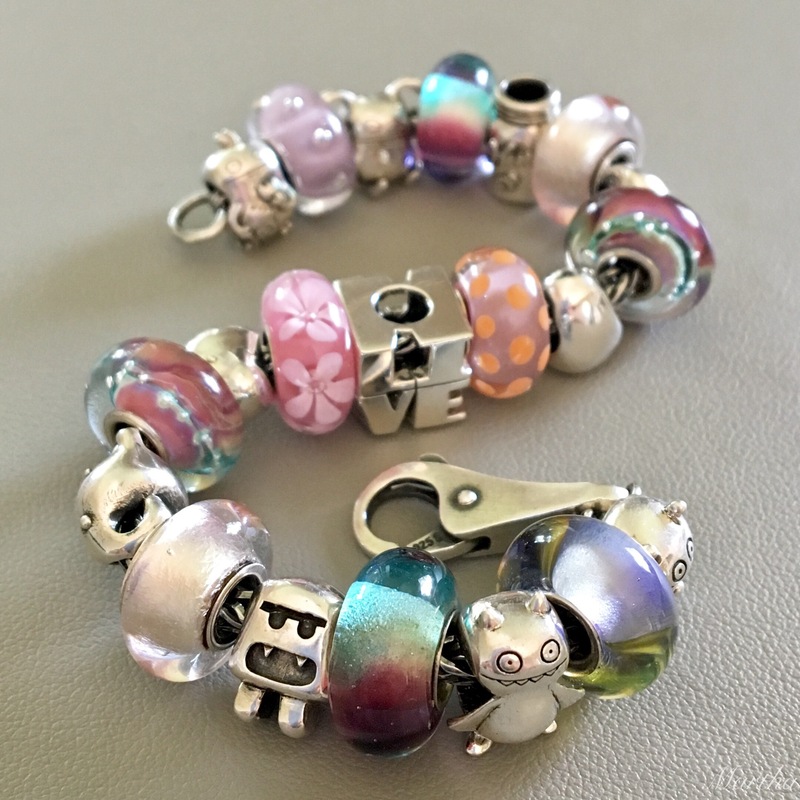 Ohm is genius at coming up with original beads. I think the whole set is a necessity rather than try to settle on one or two. 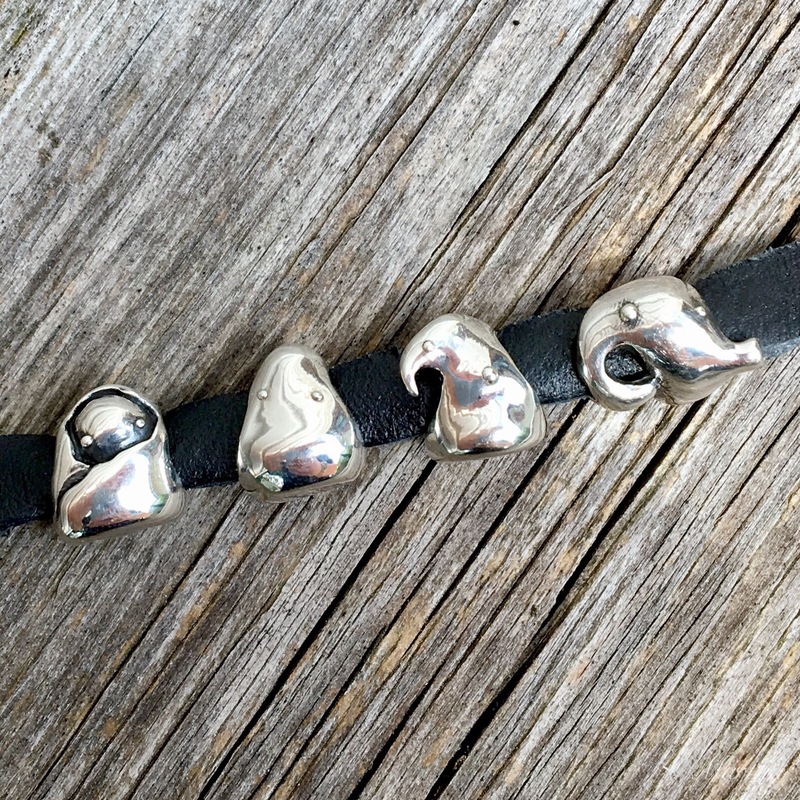 Most of us suffer with those traits at different times in our lives and these tiny little blobs of silver would bring comfort and a reminder to keep those demons at bay, and to diminish them in size. That’s a good point, that we all feel these traits at different times. I really like how these beads feel-all smooth and shiny. It means they are very difficult to photograph, but on the wrist they are just wonderful. I really like these Feelings (especially Self-conscious and Worry) but they do look small. I have so many beads on my wishlist, I don’t know if and when I buy them. I love them on the Redbalufrog leather. Nice look! They really are quite tiny but feel so nice and smooth. I like them on leather best also. Have a great evening! You are in Canada right? I want to order the feelings kit but I am afraid of being hit with custom charges because the ohm site ships from the US. Have you ever had any issues with customs? Tks! I noticed the same thing with customs and private courier.